There is a bit of churn in the Stellaris modding community at the moment as some may decide to throw in the hat given potentially breaking changes coming with the Banks update and Utopia expansion, while others are waiting with baited breath for the same updates so they can start cranking out their overhaul in earnest, new game mechanics at their command. One modder and their team is hoping to be among the first in the latter category. Zevfer found some of the game mechanics a little underwhelming in the early days and assembled a team to address some of the perceived issues, with little success back then. After months of watching the Stellaris dev diaries, carefully watching and noting the game changes, the team has now thrown together a design doc for their new mod – Divinus Imperium which, I’m told, is Latin for “Divine Power”. The team are being a little coy, perhaps for good reason. It’s quite original and something completely new compared to what’s in the base game. The first area that we are touching upon is planets and how they will work, with a complete overhaul of the building system and some generally significant differences for planets. The goal of this mod is to make the game last for longer, as such some values will be adjusted to allow for this to happen. However, even if we made everything much harder to progress there is still not enough to do in the game, so we will try to double or even triple the amount of gameplay for one game. This is the goal for this mod, and to just be an awesome mod as well. It sounds to me a lot like adding additional game speeds to one of the Civilization games. I know a lot of players enjoy stretching the length of time spent in each era, myself included, so that they can really revel in each portion of their great empire’s history. Extending the game without a lot of extra content, or some semblance of balancing, can make for tedious gameplay, however. The modders behind Divinus Imperium are clearly aware of this from the design doc. I know this can be done right, as the well-known AlphaMod for Stellaris has shown. Similarly, Caveman 2 Cosmos for Civ IV adds enormous quantities of content for a mammoth stretch of history of tens of thousands of years. 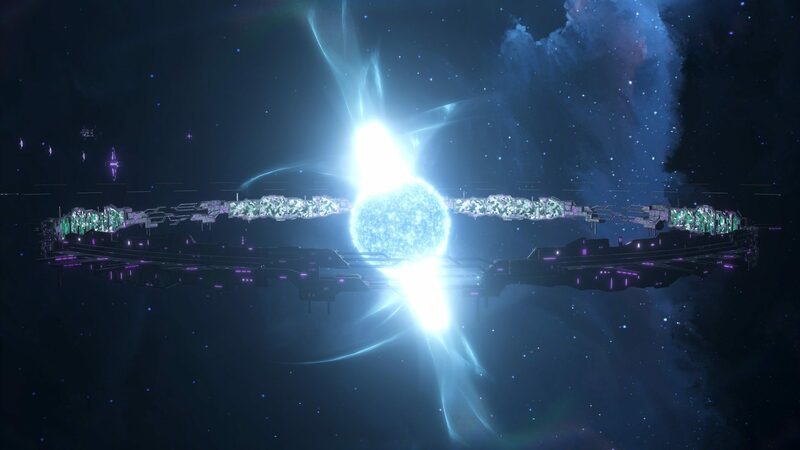 Zevfer has been tinkering with mods in Stellaris since the start, poking around existing mods to learn the basics and applying knowledge to some new mods published by the team. I understand that these have been pulled from the Workshop, but the team is not new to modding in Stellaris, or even in general, with mods also produced for Skyrim. Zevfer joined forces with two “veterans” around 10 months ago, a third about six months ago, and a handful of new joiners recently. It sounds like there are a lot of hands on board here, so the term “overhaul” applied to the mod is hopefully not an overstatement! Zevfer thinks incredibly highly of the team, so I am cautiously optimistic of the quality of their coming creation. The artwork certainly matches that already in Stellaris, which really goes a long way to helping a mod integrate itself seamlessly into the game. Let’s hope that the mechanics of the mod are as professional as the graphics! By all measures things are moving rather swiftly. The team are waiting for the update and expansion to drop but, in the mean-time, they’re beavering away, planning how things will work out. At any rate, a lot of the mechanics will remain the same at the core, so some work will transition well. The first iteration of Divinus Imperium is expected by the end of April, although any developer will know that these sorts of deadlines can and must be pushed to ensure quality. 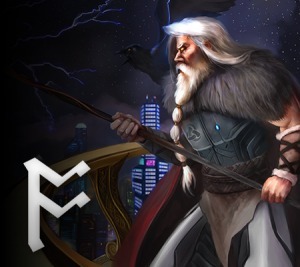 Subscribe to Odin Gaming and follow me on Twitter to get updates on Divinus Imperium as soon as I’ve heard anything more.